This home was inspired by European designs w/ high-quality standards and built in '84. The interior shows its originality, which provides a great opportunity for new owners to bring their unique flair w/ new updates. Large oak door w/ handmade hardware will greet you at the front entry. The main floor offers space for hosting a large family dinner with an open concept of the kitchen, living room and dining area. Main floor also has a formal dining room, TV room and a large office. Upstairs has 5 brms, 3 bthrms, tea room w/ stunning views of the lake. This home was once a very popular B&B in this area and can serve the same function again. Partially finished basement w/ a walkout to the swimming pool, is ready to be turned into a self-sustained income suite. Property has over 70 fruit trees and can be converted to a vineyard. Quiet area with unobstructed 180 degree views of the lake are STUNNING. 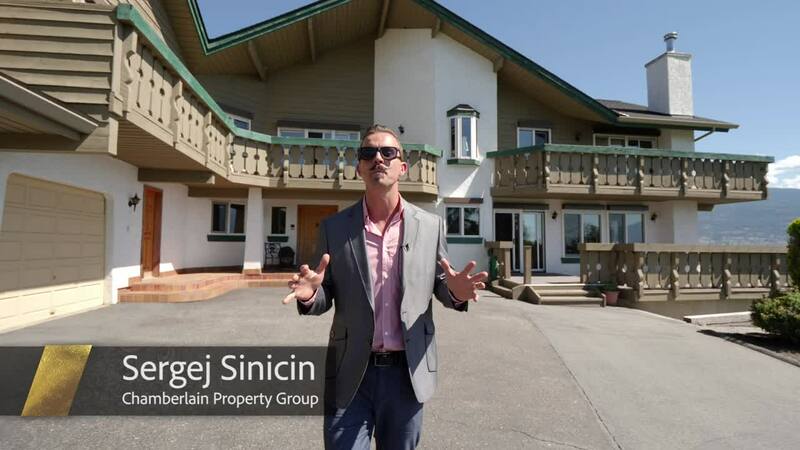 Be sure to watch a highlight video and a 3D Virtual Tour of this property.